Apart from 10 Blackbirds and 2 Song Thrushes in the early hours, the gardens seemed full of Goldcrests this morning. In fact 20 males and 1 female Goldcrest were ringed today. Today's Regulus influx also brought two male Firecrests to Blåvand. Even with a breeze and less bright skies than yesterday, the diversity and number of birds today gave us a real spring sensation. 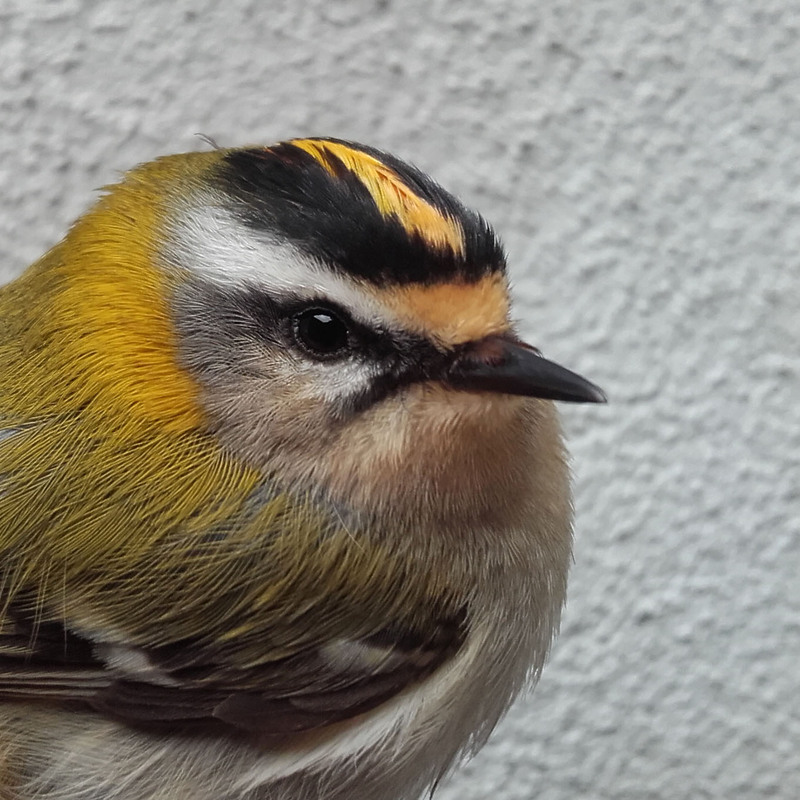 The Firecrests were perhaps the most striking in plumage, compared to others such as a few Robins, Wrens, Chiffchaffs and Siskins we also ringed. It was also interesting to see how many of the thrushes, warblers and finches were identified and observed by a group during their ringing demonstration led by Jonas!